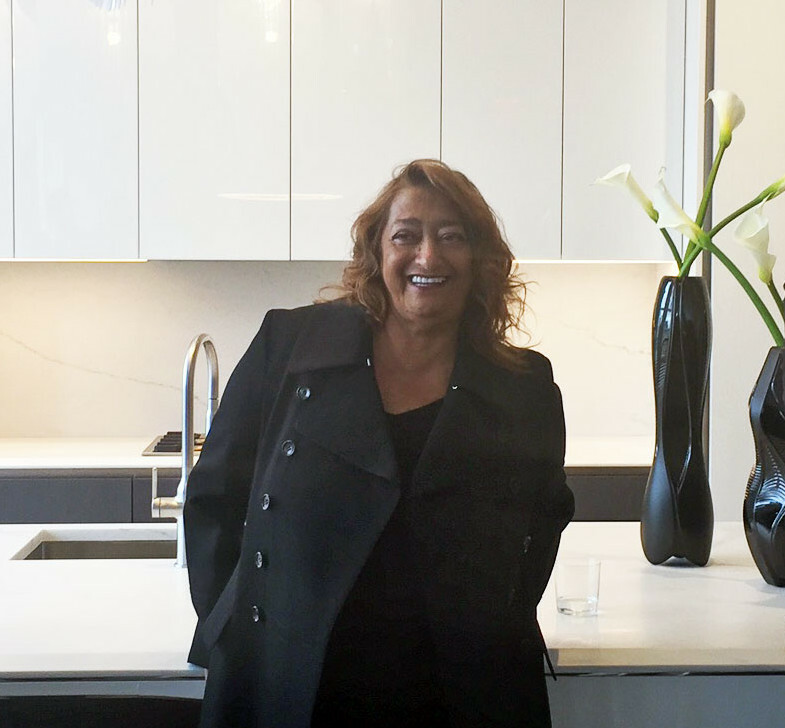 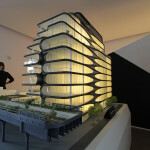 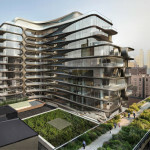 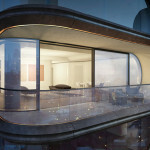 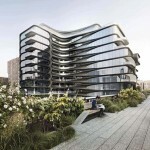 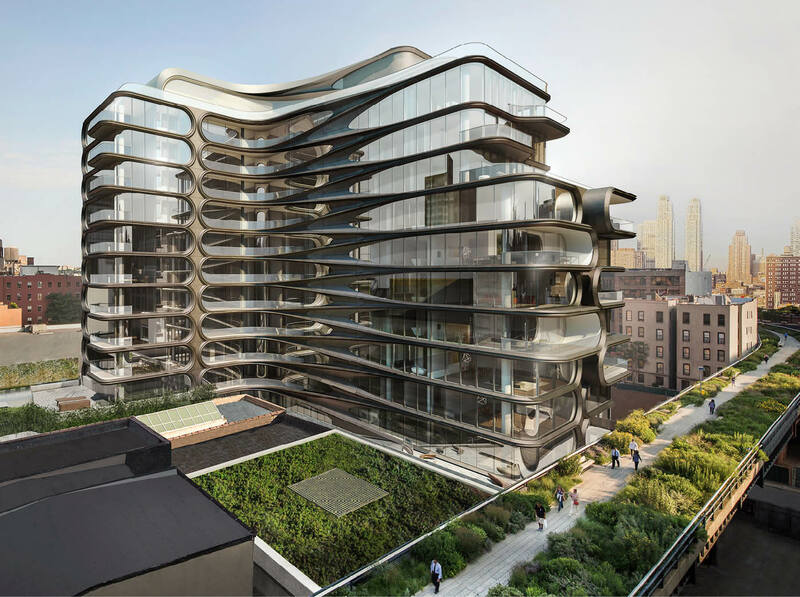 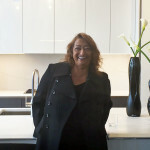 Though sales launched earlier this month at Zaha Hadid’s curving High Line condo building, her first commission in NYC, there were no public listings. 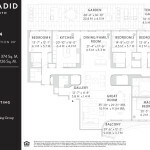 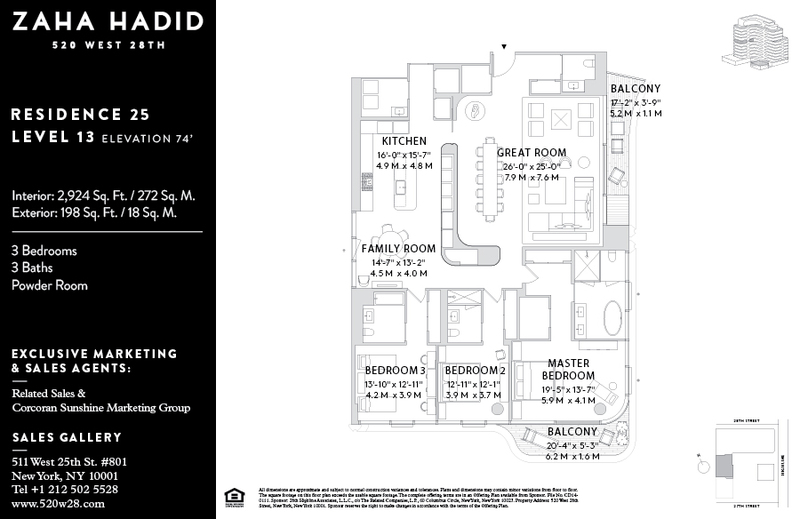 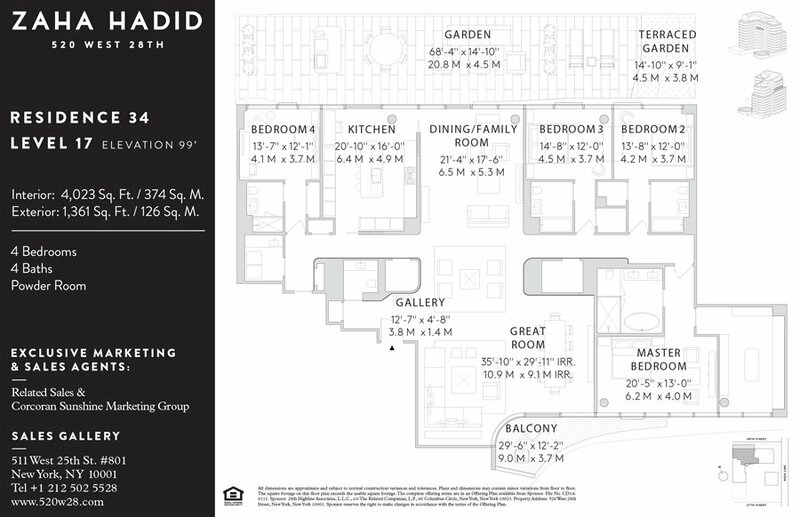 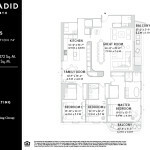 The wait is over, though, as they’ve just gone live, providing long-anticipated pricing and floorplans. 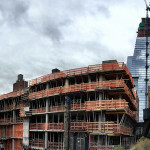 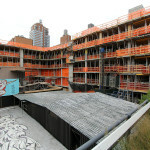 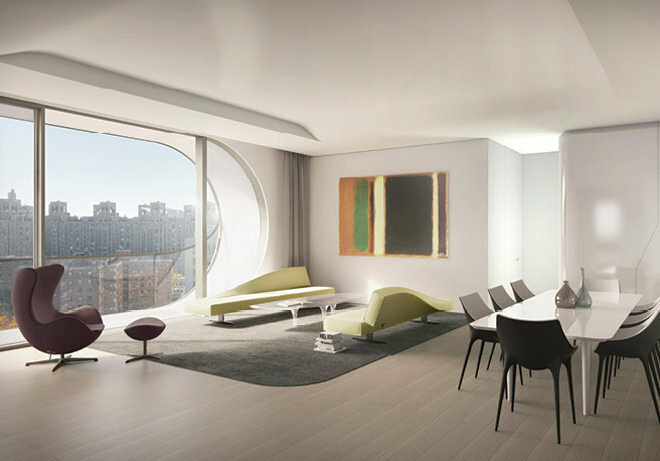 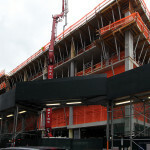 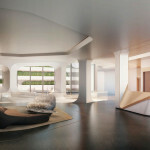 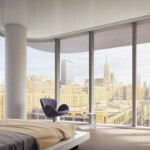 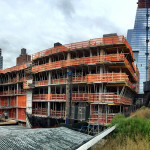 The eleven-story building at 520 West 28th Street in Chelsea will offer 39 two- to five-bedroom homes, all of which take advantage of the starchitect’s signature swooping construction. 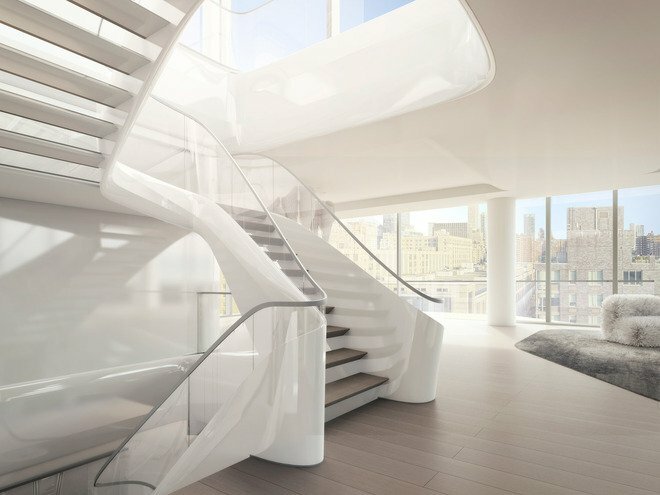 They’ll range from $4,950,000 to $50 million for the largest penthouse, but the three residences listed on Corcoran are a $6.4 million two-bedroom unit; a $9.4 million three-bedroom; and a $16 million four-bedroom. 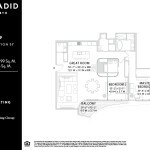 Residence 34 is a distinctive four-bedroom home of 4,023 square feet with exposures south and north and a 1,199 square foot setback terrace and private balcony located off the main entertaining rooms. 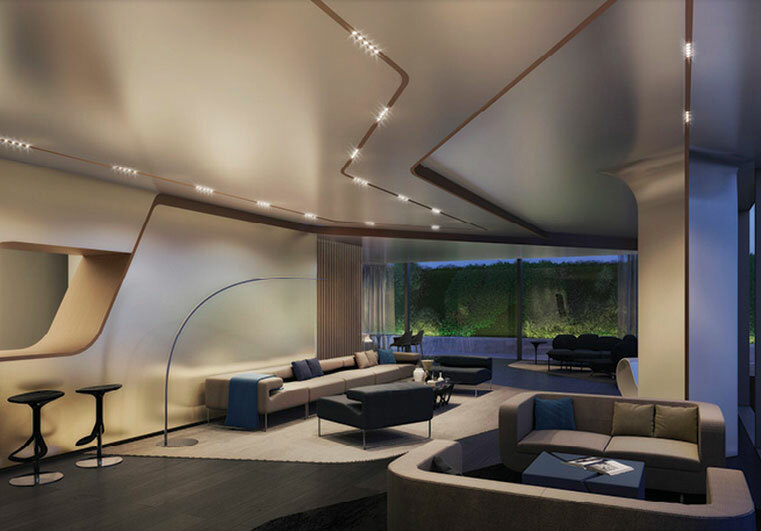 The oversized Great Room spans over 35 feet in length while a separate family room opens onto an extraordinary kitchen designed by Zaha Hadid in collaboration with Boffi, boasting a sculptural marble-clad island and Gaggenau appliances. 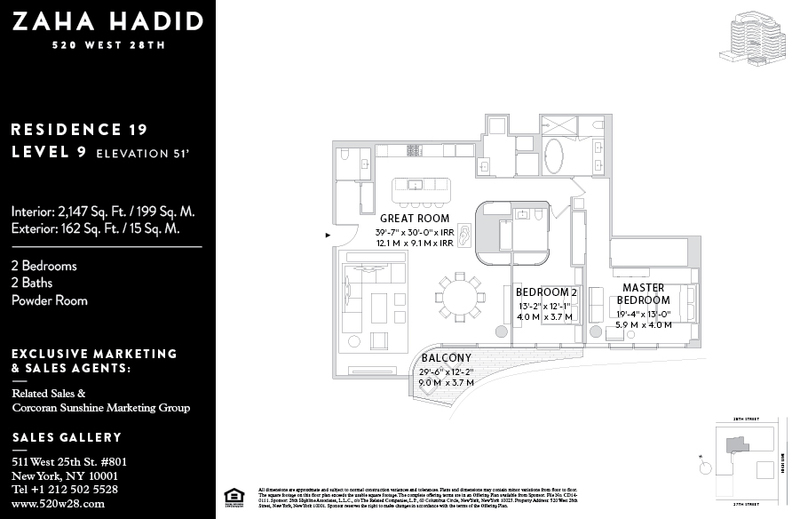 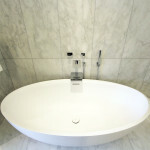 The generous master suite features a large windowed dressing room, and an exquisite bathroom with dramatic black marble feature wall with free-standing bathtub. 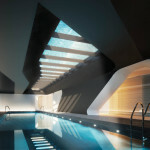 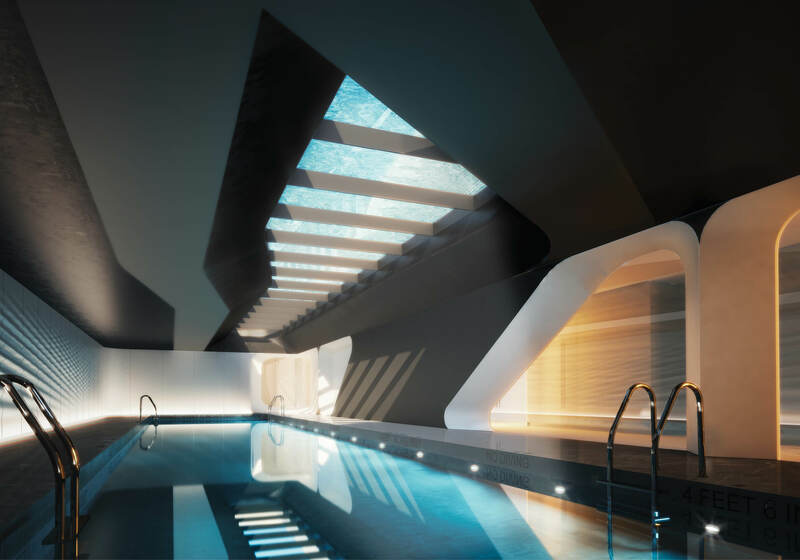 Oversized motorized windows, ceiling heights up to 10’7”, a powder room for guests, an outdoor kitchen, full utility room, and sculptural architectural element designed by Zaha Hadid make this a one-of-kind property. 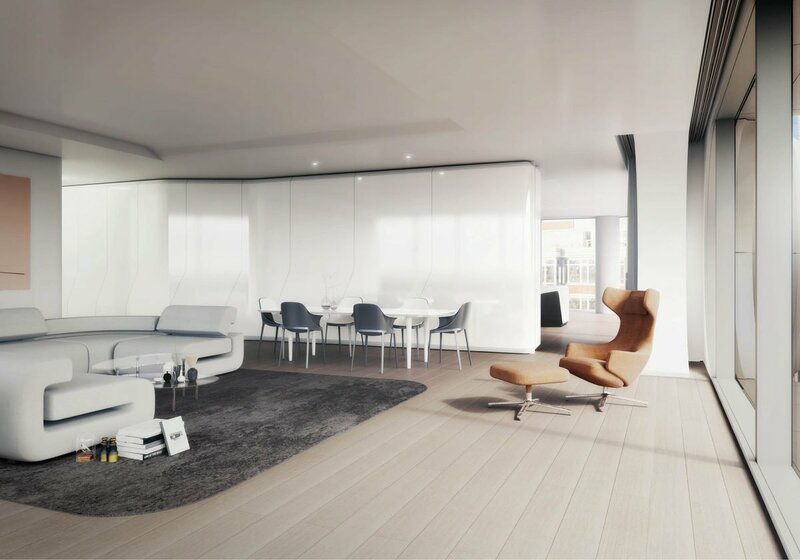 The floorplans definitely line up with the renderings and model kitchen in terms of the way the organic forms and curves of the hand-rubbed metal facade reflect on the interior. 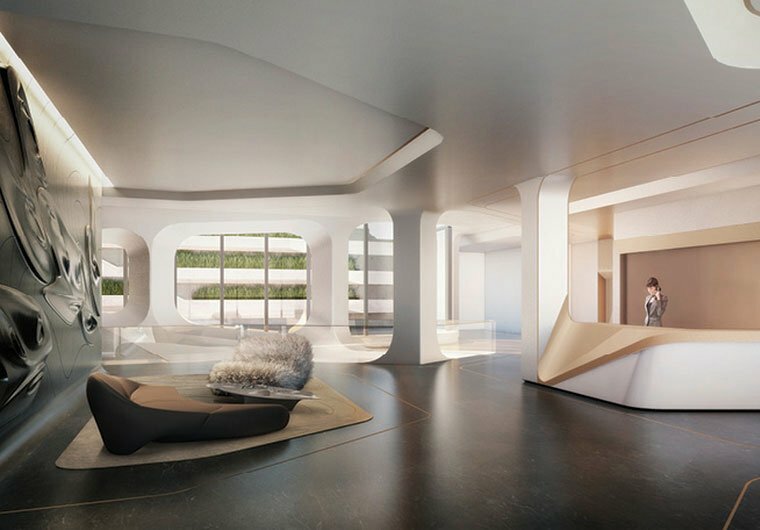 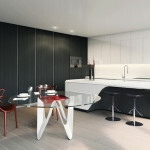 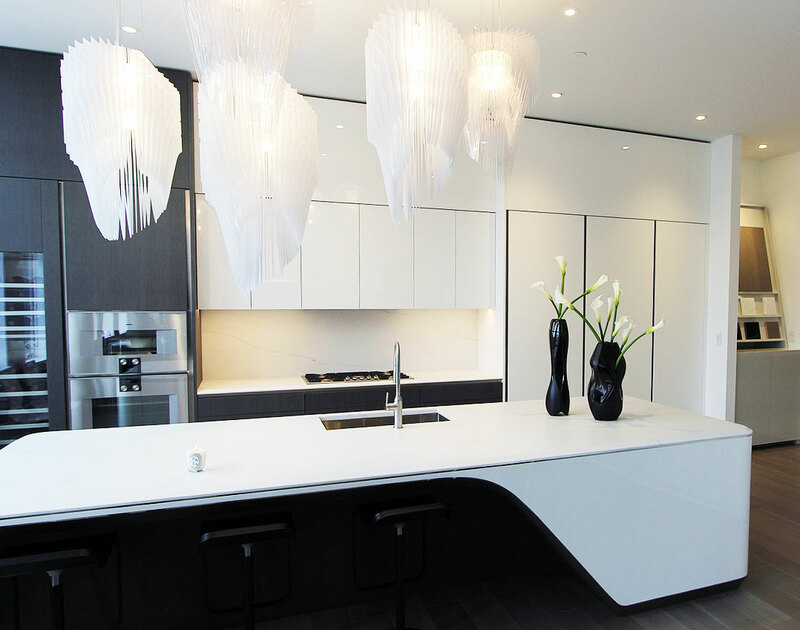 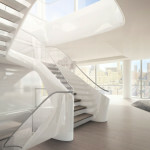 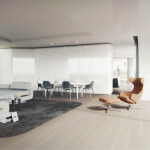 The units, each unique, feature wide-plank white oak floors, automatic sliding glass doors to connect indoor and outdoor spaces, and “a distinct Zaha Hadid sculptural element that creates dramatic feature walls while integrating closets and concealed-hinges,” as 6sqft previously reported.